SunModo Helio Standard Rail, 206" Long. SunModo's newly launched Helio Standard Rail is a cost-effective rail especially designed for its strength and versatility. 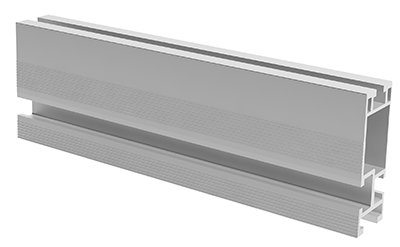 With two convenient 1/4" slot and a 3/8" slot available, the Helio standard rail can handle a variety of components such as mounts, rail splices, micro-inverters, clamps, and a variety of wire and grounding products.